Want to remain healthy at your home? 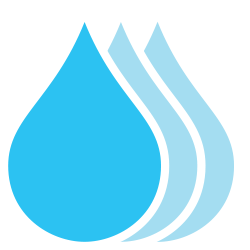 Looking for the best humidifier to get relief from the cold, cough, sinus irritation, and flu? If so, then have a look at Elenker cool mist humidifier. It gives the one-stop solution to all your health-related problems (a cough, cold, flu, nose bleeds, and so on). Interestingly, this travel humidifier shares the same design like Pandawill humidifier or Oulins humidifier but its cheaper than both. However when examine closely, Elenker humidifier built quality somehow seems lesser than Pandawill or Oulins. I think that these 3 companies are getting their humidifiers from the same vendor or manufacturer and just re-selling them by putting their Label on it. 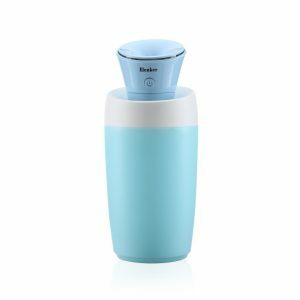 Elenker humidifier features a compact design and a USB port for power. It has an auto shutoff feature that shut down the humidifier automatically after 12 hrs. Although it is small, it can produce more exquisite water mist than a typical large humidifier. 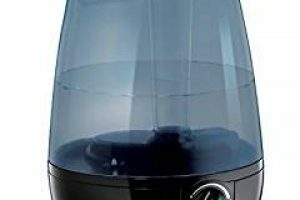 This is an awesome humidifier from the world’s trustable brand ELENKER. With this humidifier, you can enjoy sleeping during the night. 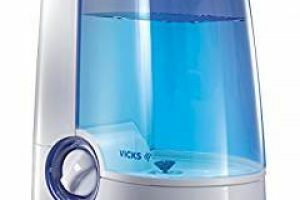 This is the most wonderful humidifier which features a sleek design and comes in an attractive blue color. It is designed with an excellent USB power source so you can easily power this device in your car too. In order to fill the pure water, it comes with a container so you can fill the water. After that, you can enjoy the cool mist in your room. It is featured with the inbuilt 12 hours automatic shut-off, meaning it will turn off after 12 hours. Moreover, it consumes only a little water per hour, so you need not worry about replacing the water often. This wonderful humidifier is made from the quality materials, so it provides long-lasting durability. 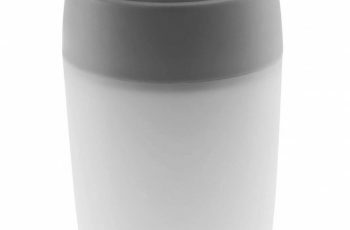 This is a lightweight and compact humidifier, which is perfect for using in cars, small rooms, desk, and so on. It comes with a 1-year guarantee. It features a sleek design. It comes with easy-to-follow instruction manual. The automatic shut-off feature is quite superb. Can run with just a glass of water. 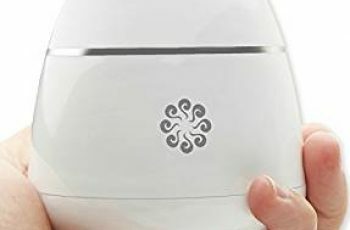 In this humidifier, you cannot use the essential oil. Filter need to be replaced after every 3 months. Like I mentioned this humidifier has same design like Pandawill or Oulin, yet its built quality seems a little off. However this is really a nice humidifier for the price, and it works great too. 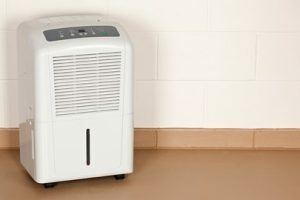 If you’re looking for the good cool mist personnel humidifier but don’t want to spend too much, then I would definitely recommend this one.